In a world exclusive show, The Cure played their first three albums in full for what was perhaps the first and probably the last time they ever will. To start the evening Three Imaginary Boys was followed by Seventeen Seconds and the band then wrapped up with Faith. 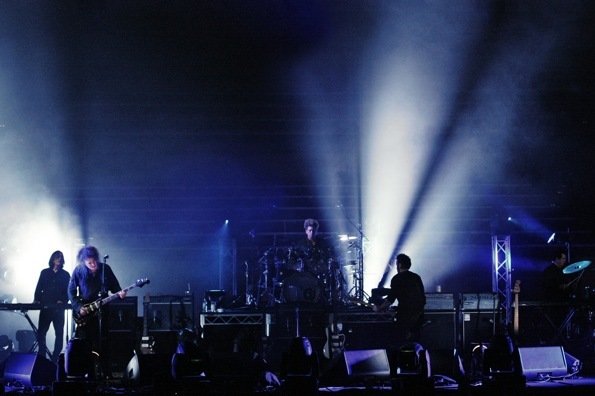 And like the troopers they are, The Cure gave more, much more – an extended encore of 14 songs. 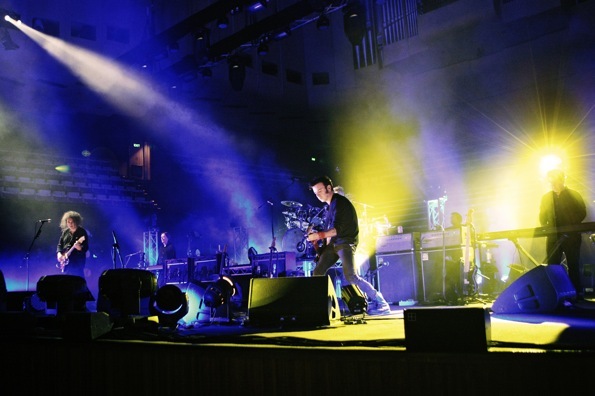 The Cure’s evening of “Reflections” was an exquisite treat for fans to reminisce on where the three piece started and in a format that the band not only embraced, but fully delivered in Sydney. Word seeped out from Southampton, UK ten days prior that The Cure was rehearsing the format and right there the anticipation began in earnest. Then and now, whoever or whatever introduced you to The Cure, to them you should be eternally grateful. The Cure represent the original “Goth Emos” that actually reflect truth, real love, and raw emotions in their music. True pioneers of their distinct sound and for me, one of the most influential bands of the era. Straight up question. “WHY HASN’T ROBERT SMITH BEEN KNIGHTED?” He has held his own for 30 years before and after the red lipstick and crazy hair. With sparing, but often amusing dialogue, he owned the prestigious Concert Hall at The Sydney Opera House. Over two nights, a fortunate audience of 2,000 dedicated Cure devotees were honored to witness the concert of a lifetime. 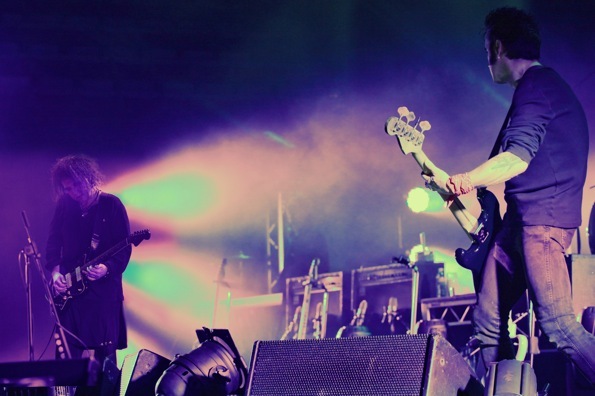 On a personal note, I saw The Cure four years ago at the Brisbane Entertainment Centre and considered it the best concert I had ever seen. I never witnessed a world class act play for three hours, yet what I did notice back then was the lack of enthusiasm in the crowd. Back then, the emo goths were all a bit caught up in themselves and they forgot to give any emotion back to The Cure. In truth, the fans were not just dressed in black… they were dead. Back then in Brisbane, Sir Robert was very humble, not really one to engage in stage banter and confirmed what he was known for – a certain shyness. Flash forward to today, Sir Robert Smith playing in Sydney’s iconic Opera House became a very playful, cheeky, sweet, and happy Mr. Smith. Yes, a smiling Mr. Smith. A joking Mr. Smith, even. When coupled with his unmistakable and immaculate vocal style, it was a Sir Robert few had ever seen before, showcasing a voice as smooth as 30 years ago. The Cure seemed hell bent on showing that you can see A Forest and the trees. Three Imaginary Boys repped the band’s roots in a solid opening session. The original three-piece line up are the authentic 1979 goths with Simon Gallop making his presence felt with his down low moves with a bass line that just grinded throughout the entire performance. The crowd was lifted to their feet from the opening bars of “A Forest,” the signature tune from Seventeen Seconds and pretty well stayed there for the remainder of the concert. I was struck by how often the band led in with the “tap tap tap” of the drum sticks together, creating that real primal simplicity. Every note seemed studio perfect and was faithfully amplified by the high curved ceilings of the Concert Hall, a room that was subtly taken over by the presence of the exquisite coordinated light show. Multi shafts of light beamed down on each member of the band moving and reaching out to the crowd like the five fingers of the hand scooping us all up one by one and dragging us back to the stage and the performers. Jason Cooper on the drum kit was cleverly elevated on stage allowing the performance to be seen for the precise use of percussion, bass, lead and vocals. Meanwhile the outside of the Opera House was illuminated by a continuous dancing light show. Spectacular. Smith’s signature “eeows,” those high pitched bursts of excitement, were dropped in superbly throughout the four-hour set and matched his very playful, cheeky comments. What I learned at this concert, was that “emos” can smile, dance, and play! Amazingly, after the first three albums, The Cure came back on and did another hour-long set. The Opera House was alive and on their feet… smiling, dancing, and cheering.